New Delhi: Max Healthcare has partnered with Imperial College, London, and the European Commission to launch a 3-year ‘iHealth Type2 Diabetes’ study in which 10,000 people from India will be screened. 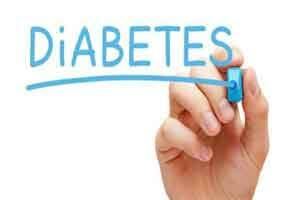 “The study will map 10,000 citizens of India with pre- diabetic symptoms and will focus on health promotion and prevention of Type2 Diabetes (T2D) among South Asians,” Max Healthcare said in a statement. “The i-Health T2D study will be an expansive study of South-Asians in diverse settings… we will be screening individuals with pre-diabetic symptoms and subsequently select 10,000 people across Delhi, UP, Punjab, Haryana and Bihar, who will be participating in the study,” Max Super Speciality Hospital, Saket Endocrinology HoD, Sujeet Jha said. Nearly 6.68 crore Indians have already been diagnosed with diabetes, he added. The study will involve people from the Indian sub-continent (India, Pakistan and Sri Lanka) as well as the United Kingdom to provide evidence about implementation of lifestyle modification in both high and low income settings, the statement said. The study in India commenced this month and will conclude in July 2019.